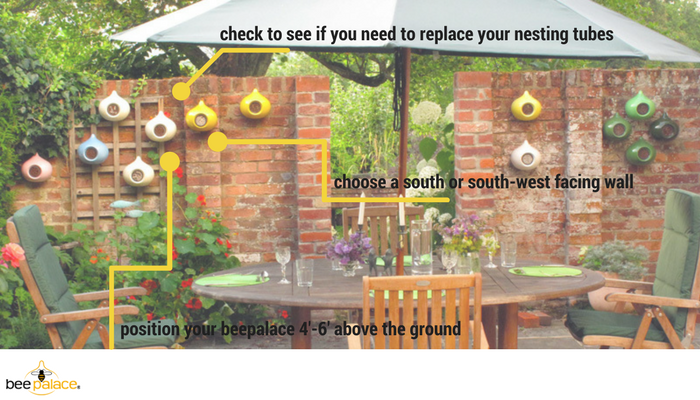 Time to get your beepalaces out in the garden! Whatever the weather, the Easter weekend always brings a smile to our faces because it’s the time we really start to notice the garden ramping up. All those months lying dormant and then – as if by magic and almost without warning – the first leaves unfurl, the blossom appears in the blink of an eye and the garden suddenly becomes ALIVE. We’ve noticed the first bumblebees, flying low over the grass, or hovering over those early sources of pollen. Honeybees bring a multitude of different coloured pollen back on their pollen baskets.The bulbs continue to push upwards, the daffodils open. The garden, so bare one moment, suddenly and inexplicably becomes inundated with weeds the next. At this time of year we usually issue the alert to put your beepalaces back outside again, but we’ll issue a word of caution this year, as the weather may (or may not) take a turn for the chilly again. Anyway, whatever the weather, here are a few reminders about putting your beepalace out again. 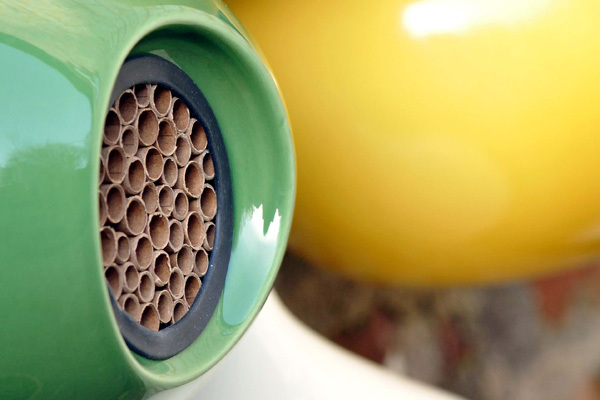 Solitary bees like an elevated position – but not the penthouse: ideally position your beepalace between 4 and 6 feet off the ground. Check your tubes. If you’ve had your beepalace for a few years, you may find that the tubes have become full and need replacing. This is normal (and shows that your beepalace is in a great location!). You can get refills in our shop, here.